I don’t know if you guys are Netflix fans like I am but I have been a loyal fan and subscriber for a few years now. In the beginning I was getting DVDs sent to me two at a time but I noticed that as of the past year I have been receiving DVDs by mail substantially less (out of choice) and have instead opt-ed to “watch instantly” all my movies and shows online. Over a year ago I purchased a “Roku box” to stream Netflix directly to my TV and ever since then it has been my #1 viewing source. I have always been impressed by the amount of content Netflix has to offer but starting today things just got a whole lot better. Netflix just reached a five-year deal worth nearly $1 billion dollars to stream movies from Paramount, Lionsgate and MGM online starting Sept. 1. This is great news for everyone! Great news for me who wants access to movies and tv shows instantly and great for Netflix who would love to save on postage costs. 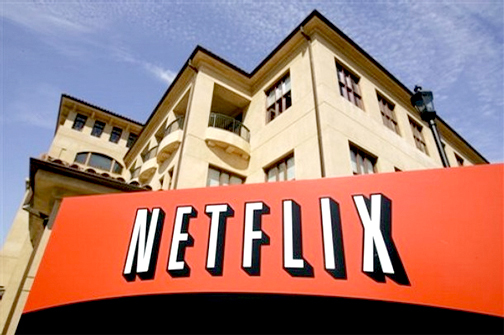 The deal itself vastly increases the amount Netflix spends on streaming movies annually. It currently spent $117 million in the first six months this year on streaming, up from $31 million a year ago. The new deal adds roughly $200 million a year to that tab. I hope you are all as excited as I am! For those of you that don’t have Netflix you really should look into it! The most basic plan is $8.99 a month. Best $9 bucks you’ll ever spend.